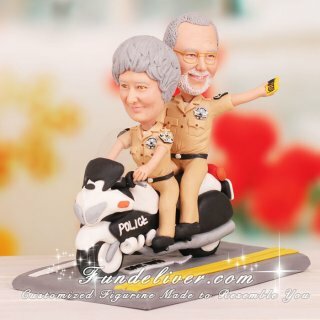 This is a completely customized highway police motorcycle patrol cake topper ordered by one of our clients for their parents. They would like their parent’s figurine to be in standard beige police department uniforms. 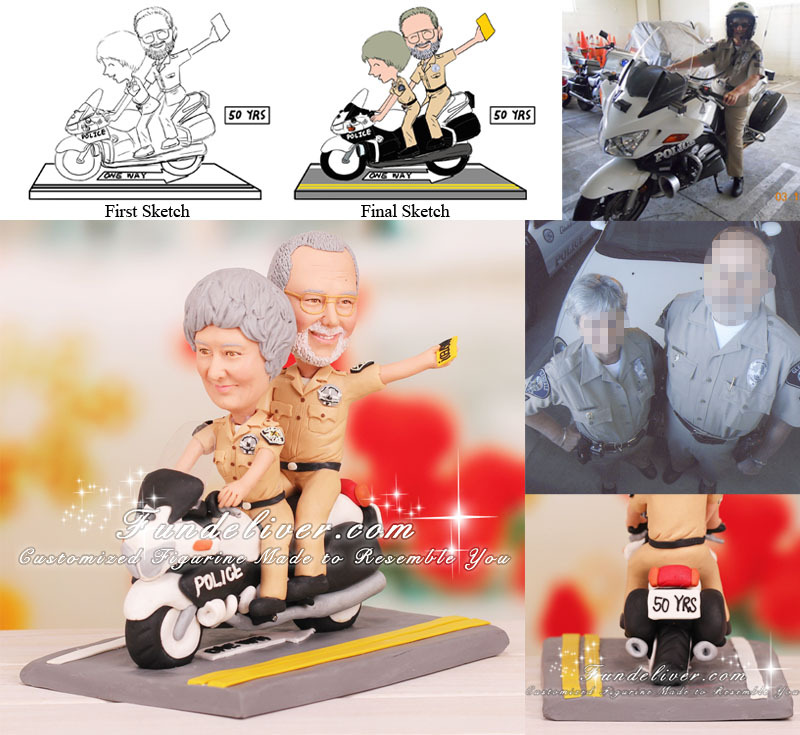 Their mother is the one driving the motorcycle looking forward with a smile with their father on the back, very similar to our another motorcycle cake topper. Their father has his free hand holding a yellow ticket up in the air with "BUSTED!" fitted on it. The motorcycle is very important for police patrol which is accented with “POLICE” on the side. License plate reads “50 YRS”. They would like the base to be asphalt with double yellow lines and one white line, just like highway/street. Also they would like to paint "ONE WAY" with an arrow on the street/highway, and have the motorcycle going against the arrow.